My new book, The Superkids Activity Guide, is aimed to empower ALL kids to speak up, share their superpowers and learn why they do the things they do so they can advocate for themselves!! Before you start to think of all the reasons you can’t possibly be a superkid, I want to stop you. You see, even the most famous rock stars have doubt and don’t believe in themselves every day. This doesn’t mean they are any less super. And even superheroes have struggles and pitfalls. That doesn’t make them any less super, either. The truth is, despite your struggles, your mistakes, or your bad days…YOU ARE A SUPERKID. The Superkids Manifesto is yours. I want you to own it. In order to make this movement touch every corner of the globe, we need YOU!!! Click Here to Join the Superkids Movement Today! Note: If your child’s worries are impacting their school functioning, sleep or eating habits, or are negatively impacting their daily routine, seek support from a mental health professional. 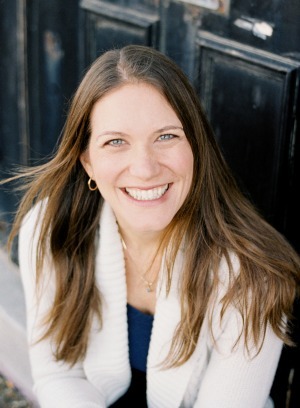 Nicole Schwarz is a mom to 3 little girls, a Licensed Therapist and Parent Coach. 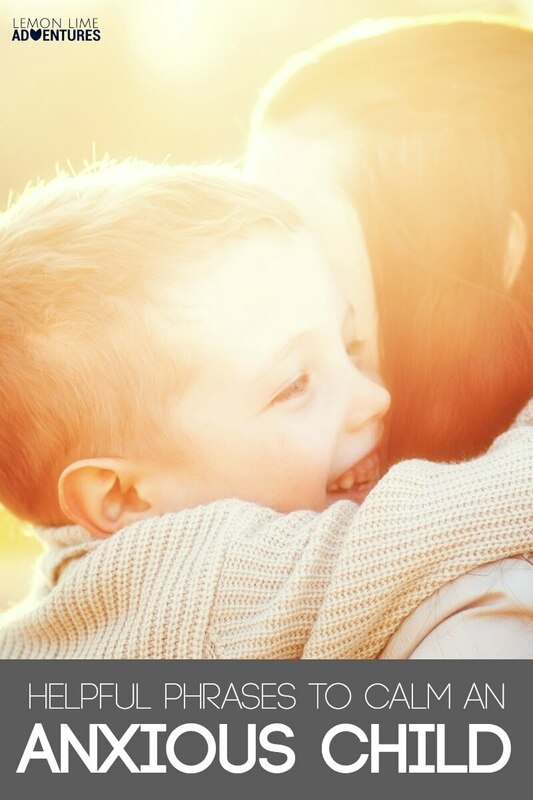 Check out her blog, Imperfect Families for more positive parenting tips and learn more about how Parent Coaching can help you find solutions to your parenting challenges. Finally, you want to build your toolkit. You can’t possibly anticipate every problem that will occur or everything your child will worry about. But you can be prepared. That’s where Calm the Chaos | The Behavior Workshop comes in. 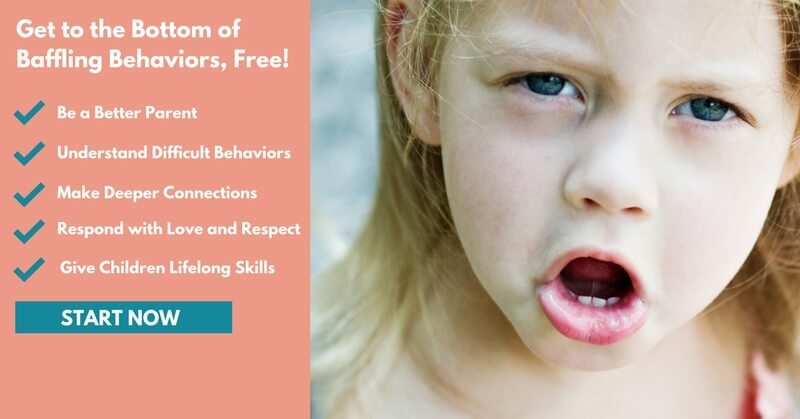 Registration for Calm the Chaos : The Behavior Workshop (a FREE 4 part video series) is closed right now, but you can get on the notification list. It will be starting May 2018. 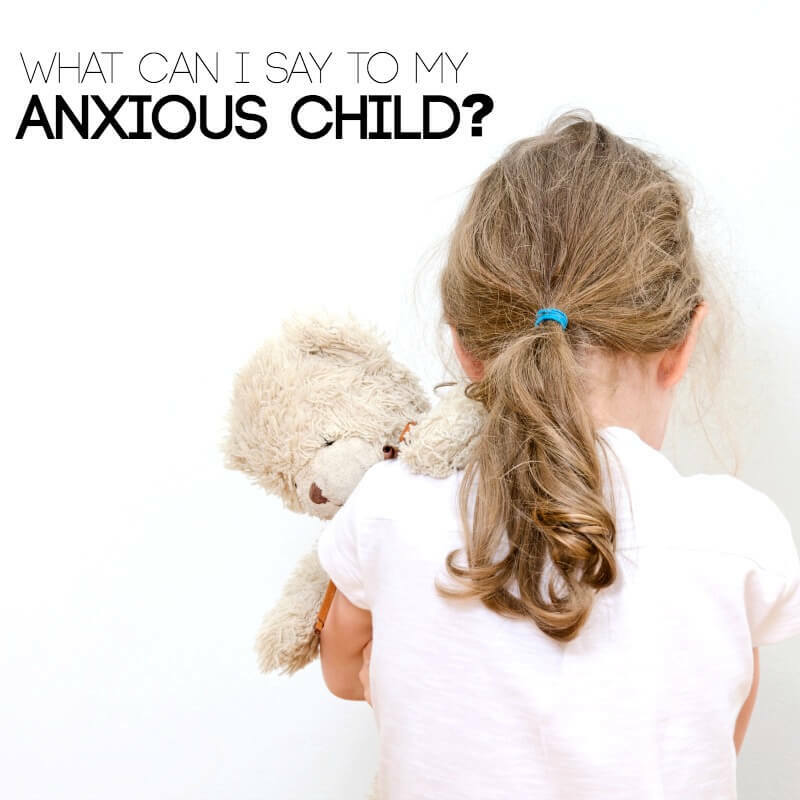 Kids that struggle with anxiety are often mislabeled as shy, emotional, sensitive and moody. What if we could change the way the world saw these kids, and better yet… change the way they saw themselves? For simple games and activities that enable you to see your child as the Superkid they already are, instead of feeling lost, confused and in a constant battle with your child, please consider The Superkids Activity Guide to Conquering Every Day. 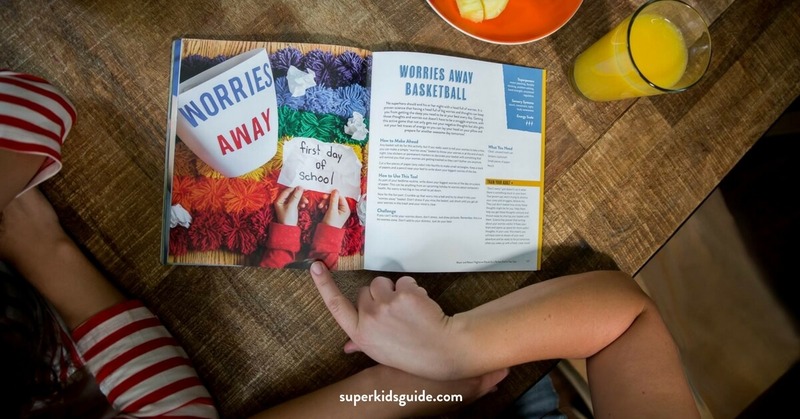 What started as a simple guide with 75 simple crafts, games and activities to help adults and kids manage the most difficult parts of the day (mornings, wait times, mealtime, playtime, learning, and nighttime),The Superkids Activity Guide has quickly become a movement, reaching millions of people on Facebook alone. 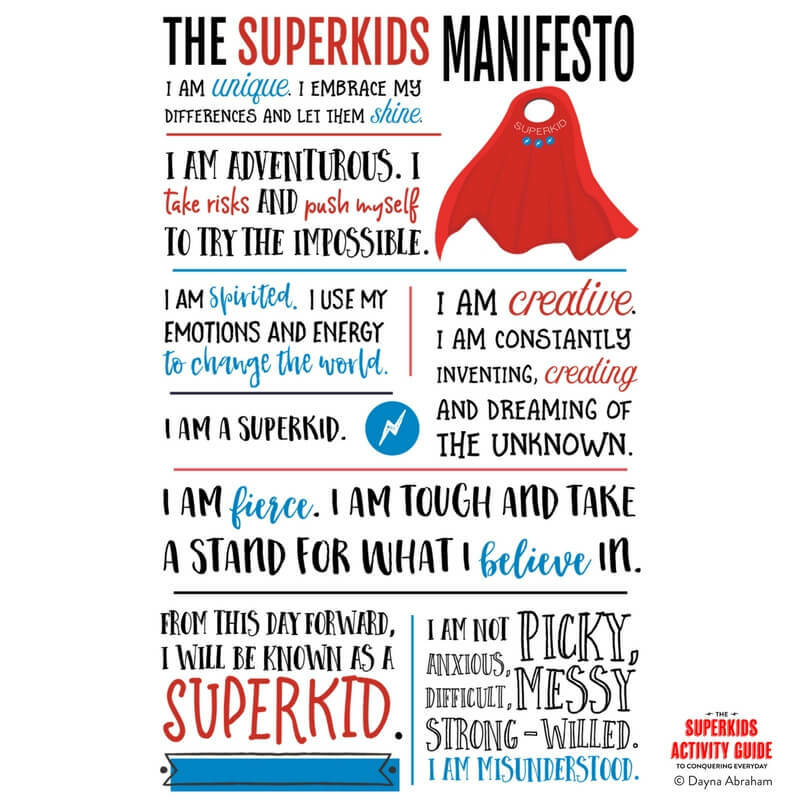 The Superkids Movement and Activity Guide is aimed to empower ALL kids to speak up, share their superpowers and learn why they do the things they do so they can advocate for themselves!! Click here to get your copy of the best-selling book today. This is a fabulous list… really really fabulous! Thank you! So glad it is helpful! Thank you! A variety of ideas here. So important that we’re aware of the words we’re using and how they impact this population. fantastic advice! I have a son that suffers from acute anxiety. He is now 11. Some of these strategies are not age appropriate for him – do you have some strategies for older kids? Many thanks! This is fantastic advice. Wish i had hafbit 20nyears ago. I think it would have made a difference in what our child is going through now, who is 23, extreme anxiety, and i feel lost trying to help. I think back then i thought it was just shyness now i’m realizing it may have bern anxiety. Any suggestions for helping an older “child”? My grandson didn’t want to attend school again today and I ran out of things to say to reason with him. He is 9 years. He seems to want to fight verbally. My son was just the same. His response to anxiety was anger and even rage. A specialist at his school gave me a tip that has made a huge difference for us. She said, “Try to view these episodes as seizures, not tantrums. “. If my son were convulsing on the floor I wouldn’t stand there and tell him he’d be fine or that there’s nothing to worry about. Now, when he starts in with “I am NOT going to school!” I just calmly say, “It sounds like you’re feeling very uncomfortable. How can I help you?” It diffuses the situation so much faster. Some days it’s 15 minutes, others it’s almost instantaneous. Also, we have been using the Zones of Regulation ( Google it) with great success to help him identify what he’s feeling and equip him with specific strategies to get back to calm. Good luck! You’re not alone! Our 16 yr old has been fighting this for a long while now. Wish I had these tools to say years ago. Definitely a great list. 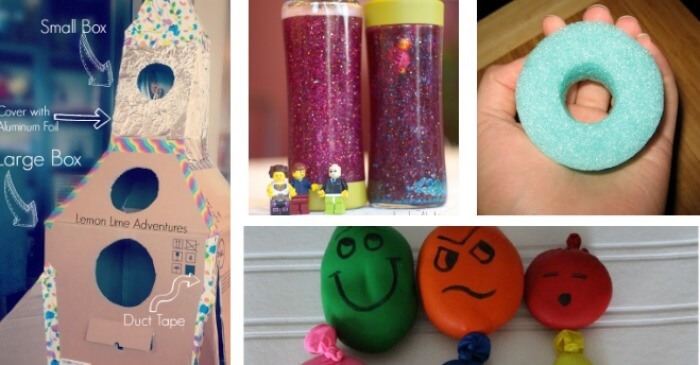 My husband has anxiety and he helped his sister coach her son through taking his fears to extremes to show how ridiculous some of his worries were. Like a “what would happen if that fear happened… and then what?” It was a coping mechanism my husband used as a child too, before anyone really acknowledged kids’ anxiety. Not for all kids, but maybe an option when you’re out of things to try. Wow. As a special ed aide in a public school – these are GREAT tips – will definitely add these to my toolbox. Thank you so much for sharing. My 7 year old has struggled with acute anxiety since around the age of two. She also has sensory processing disorder which is a huge reason why the anxiety began. We’ve been working on the breathing for years, deep breath in through your nose, out through your mouth. I say these words whilst doing the breathing with her, almost like a meditation, her little brother even joins in, she finally is joining us too, this has taken years of hyperventilating on my behalf from too much oxygen coursing through my veins but a last she is doing it. The one that has worked the best though is giving her anxiety a persona. I call him Mr Anxiety and make her laugh by telling him get out of the way, you’re not useful and you are not going to stop Lily from doing this, she’s stronger than you, get out of her way before I kick you up the bum etc.Anything basically to make her laugh. Her little brother loves this and joins in and i hope eventually she will join in, besides laughing….which is perfectly fine with me. Maybe next time we might try and describe what he looks like too…note to self. Remember, anything and everything is worth a try. I had so much anxiety growing up. I wish my parents had known some of these strategies to help me. Excellent! One thing that worked with my daughter was to let her wear a bracelet or necklace of mine. Something else we would do is I would spray a little bit of my perfume on her arm – the smell would remind her of me and comfort her. I agree with most of your comments. HOWEVER, please use a darker text color. You have a lot of good comments but they are difficult to read. Another good book is Jonathan James and the What If Monster. You can purchase the monster plush, too. Kids can tell their worries or what ifs to the monster. 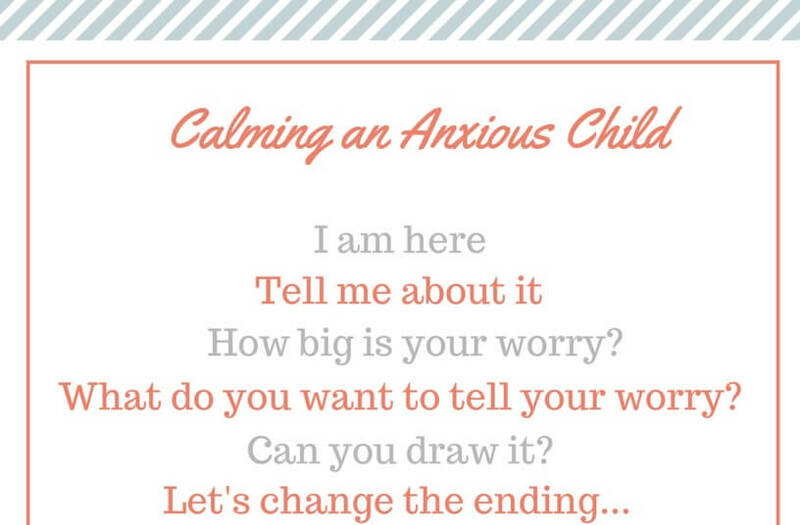 Can you elaborate on what your child is anxious about, I would be happy to make another list! I wrote this for my husband who’s been punishing our 8 year old daughter for being scared of going to school. He claimed she wasn’t really scared but once I refused to believe she could act that anxious (I was an anxious child and recognized the behaviour). To an outsider who hasn’t experienced anxiety, it looked like defiance. I approached her teacher and he was able to confirm with me that the child our daughter feared had actually strangled another child and an ambulance was called for the other child who was his victim (which our daughter witnessed and feared telling us). I hope you dont mind but I’m also going to add all your points too, they were truly wonderful. Part of growing up means our daughters will likely face difficulties like losing a pet, feeling rejection from a friend and/or a group, bullying both overt (mainly from boys) and covert (mainly from girls), feeling unsupported, feelings of neglect, abandoned (even while you’re physically in the same house feeding and clothing your children), extreme loneliness, sadness, uncertainty, unworthiness (especially if physically different example overweight or wear glasses etc). Being there for someone older can usually just be listening to them. By talking things out that person gets to vent and that shares the burden in half and somehow that works. It’s enough to move on or help make decisions but with children they don’t have life experiences to know what to do next (opinions, guidance and role playing can alleviate this) and if they are abnormal for feeling the way they do (this feeling can make a child feel different and different as a an adult can be freeing but to a child it can feel like death, being thrown out of the club, the tribe and left to defend themselves amongst the lions). This is where you come in. I know you feel uncomfortable listening to a child express pain. Sometimes it’s because it feels petty to you with all your “real” troubles or because you love your children so much that it hurts so bad to know they are in pain and you believe by saying “Don’t Worry About It” can help them. It doesn’t!!! It’s the worst advice to give. By saying that, it says that their feelings aren’t that important to you, they personally aren’t important enough to take time to listen, they should keep their feelings inside and bottle them up and by expressing their feelings makes them different and weird. (Hint being different and weird as a child is very frightening, it means you wont be part of the tribe and little kids rely on the old brain to help them survive. The old brain tells them they have to be part of the tribe or else they will be left out in the wilderness by themselves). If you try to change the subject, make a joke or come up with reasons the problem isn’t a problem, you send him the message that you don’t want to hear his problems and that expressing sadness is not acceptable. Responses such as “It’s nothing to get upset about,” “You’re acting like a baby,” “It can’t be that bad” and “Don’t worry” minimize the problem and lay a truckload of guilt on the suffering child. Instead listening to your child, don’t interrupt except by clarifying what was said in a gentle kind voice. Lots of I’m sorry that happened to you honey and you are right to feel that way goes miles into reassuring children. And yes they have every right to feel the way they do. Just because you don’t feel that way in that situation, doesn’t mean they are wrong to have their feelings. #feelingsareneverwrong. Telling a child they are wrong and to toughen up is not a very good strategy to reassuring a child. Being by their side as a strong but kind allie is the way to go. If they know that the person they are sharing their problem with is assertive and can stick up for them with words and not aggression, they will feel safe! If they think you’ll make things worse by going up against the person they have an issue with, they will fear that you will make the situation worse. However, if they know you’ve got their back and you tell them that and that you will be there for them, you’ve probably just knocked 80% of the fear. Knowing what to do in a situation particularly when it involves another party is the hardest part especially if you’re like me with little life experience of handling confrontation or interpersonal relationships and you haven’t had any professional training. That’s where the good old internet comes in. You find out what to do and then you role play it with the child. You do it so many times with the child over days that this child builds so much confidence that it becomes second nature to them. So when they panic and their brain goes into fear mode, they will instinctively do what you did in the role play. Talk needs role playing afterwards, without it, it’s just theory. The next thing you need to do is to hug your child. To reassure them by holding their hand, gentle placing their head against your chest and telling them, you will protect them every way you can or like I say “you have their back”. “I’m hear for you, you’re not alone” is the most reassuring statement to give to your child. There’s more at lemonlimeadventures.com (go there they even talk about the breathing I do). Perhaps nothing is more comforting to a grief-stricken child than the warmth of his parent’s body. Don’t hesitate to soothe with your hands, put your arms around his shoulders, hug him or hold him tightly on your lap. Cradle your child in your arms just as you would an infant. When in private, encourage your child to cry it away and open your arms and encourage them to cry it out. Tell them it’s good for them (Scientists have proven crying is good for us, even just a few tears are enough to get rid of toxic emotions). I also encourage constructive anger, it’s allowing the child to punch the bed, visualize smacking the person so that they fly out of space or whatever else they want to do to the person in their head (reassure them that this is not something we do in real life, it just helps get rid of the angries from our hearts”) If you don’t allow this, they may become very angry children and people later in life – they are either passive aggressively or overtly angry. Anger is just fear that wasn’t released as children. Remind your child that many before her have been in this situation, many children she even knows are going through this right now or have in the past or will in the very near future. You could also share an experience of your own that is similar to what she is going through. If you know of aunts, uncles, bff’s or grandparents who have been through the same experiences, pass their stories along to your child. This seems to help a lot more than you would think. Having a warm shower, having a warm drink, sitting infront of the heater (or having a swim in summer), sleeping on things usually fixes her perspective, having guidance over time can help her build confidence for life. Don’t expect your hour talk to resolve everything, you make need to repeat this process a few times on different subjects and a lot of the time even the same subject but if you can, you’ll be a super parent, a super friend and you’ll have a lifelong supporter and cheerleader (um I mean from me for being the rock for our children). Your job is to patient. You will be rewarded with such a happy, confident and loving child. You’ll feel proud of yourself just being able to do this rather than shutting your child down so that you can PRETEND she’s OK. I forgive you and love you. Sorry if this comes off as me being angry at you (I accept you feel bad about it and she forgives you) but I’m trying to avoid her being punished for being bullied ever again. I’m her only advocate. I’ve got to stick up for her. This is how you support her. these are some amazing lines to calm a child, i loved sometime we just dont understand how to handle them i am gonna stick this on my almirah to remember!!! Two of our boys, ages 21 & 16, have X-linked Lissencephaly & are both non-verbal. Our 21 yr old also has SPD, while the 16 yr old has seizures. What are phrases I can use for them? They wouldn’t be able to answer some of the questions listed. Thanks! Do they currently use a pecs or picture chart for communicating? And for a speech delayed child? Is the child delayed in expressive language or receptive language? Super-great list of useful strategies! However, the opening story and some of the comments about going to school being an anxiety-inducing issue make me feel concerned that maybe school — the particular one or an educational institution in general — is maybe distressing these kids for a good reason(s). My husband was a child who suffered a lot of anxiety because of school, all for reasons that basically boil down to being extremely introverted. Not only did the long, tedious, constant interaction with others have him perpetually in a state of low-energy (read: one little stressor away from an introvert melt-down), but introverts learn differently / often have different interests or levels of focus, etc. than extroverts (who more often enjoy school on some level). My husband could have had a completely different educational experience that was true to his temperament if his parents had examined options outside of ‘traditional schooling’, e.g. homeschooling. He (and I) are convinced that that one, big, crucial decision would have fundamentally, positively impacted him in ways he’d still be benefitting from now, more than a decade later. “What do you want to tell your worry?” How about “I’m here: you are safe.”. Most children anxious about going to school have anxieties about leaving home. It should be in your inbox. Did you check you spam folder? Hi, I’m from Mexico. As probably you should know we are going through some difficult times right now, because of the earthquake that hit us last week. Any how, I was wondering if I can translate some of the super kid stuff, it will be really helpful for our children right now, specially those directly affected.